If there is one Indian attire that is sensual and elegant at the same time then it has to be a saree. Best friend’s wedding or a formal party evening, a saree allows you to elevate the style quotient and make you look fabulous. 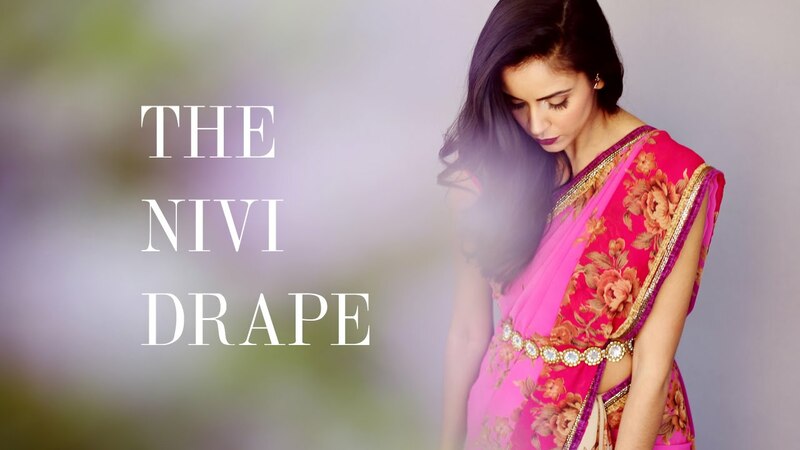 You sure know how to drape a saree the traditional way, but do you know you can add a fashionable twist by draping your saree in a different way? We have put together a list of different ways to wear a saree. Read on! We still haven’t got over the Aishwarya’s look from the movie Devdas. It was then when the Bengali drape really came out of Bengali culture and became a famous saree trend. It might look difficult to drape a saree the Bengali way, although, it is not. In the traditional Bengali style, the saree is worn wrapping the pallu around the body twice with two wide pleats at the front. A preferable fabric for a Bengali saree is cotton. Originally from Andhra Pradesh, the Nivi style is the most traditional way of draping a saree in India. Simple and classy, the style is now a popular trend among Bollywood celebrities. The Nivi style saree is worn the same traditional way, the only difference is styling of the pallu. Pallu has several pleats pinned up all together. You just need to buy a designer saree with a matching blouse and you are all set to look stunning at absolutely every occasion. For a close one’s wedding, instead of buying an expensive lehenga, you can just drape your saree the lehenga way to look all dressy and fab. In the lehenga style, there are several pleats tucked around the waist. The pleats give the illusion of a lehenga. You can also experiment with the pallu styles to create a fashionista look. These are the styles that will make the centre of attraction for every party and event. Buy ethnic wear sarees online to grab good deals and discounts. This entry was posted in Fashion, Sarees and tagged designer sarees, ethnic wear on September 21, 2016 by riyabhora.